Looking through the Ancestry website, it stated that some of my relatives, the Pritchards, had lived at 9 Davies Street, Birkenhead- I think that street may have been flattened at some point. Can anyone shed some light on this please? 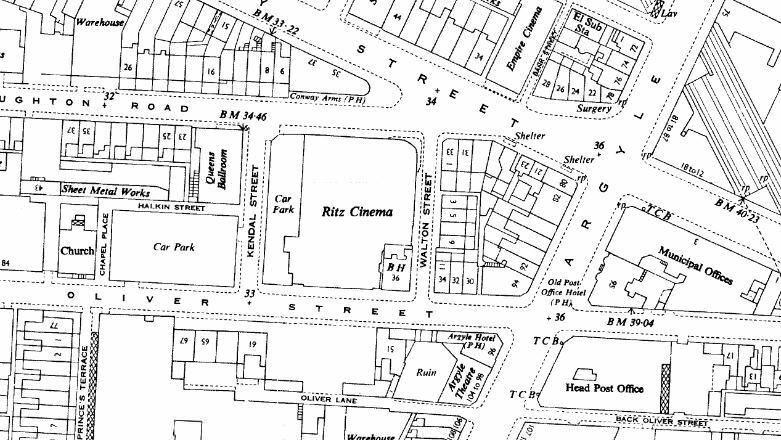 Davies Street ran from Claughton Rd to Oliver St, either side of Davies St was Kendal St and Walton St.
Demolished and The Ritz built. Last edited by bert1; 11th Jun 2018 1:56pm.